EY-Parthenon is a leading advisory organization focused on strategy. We are committed to combining our unconventional thinking with our clients’ smarts to deliver actionable strategies. In today’s complex business landscape, creativity has become a necessary ingredient for sustained success. At EY-Parthenon, we have an ideal balance of strengths – deep and concentrated skills with broad executional capabilities, intimate client relationships with larger networks of support, and proven processes along with a progressive spirit – to unlock opportunity for our clients, amplify the impact of our strategies, and make EY-Parthenon the global advisor of choice for business leaders. EY-Parthenon advises c-suite, business, and organizational leaders across multiple sectors, including automotive, consumer goods, diversified industrial products, education, health care & life sciences, TMT, and private equity, through our global network of 1,300+ members in over 30 office locations. EY-Parthenon’s clients include Global 1000 corporations, as well as high-potential growth companies and private equity firms. EY-Parthenon Associates participate as valued members of case teams helping clients address their most pressing strategic challenges. As team members, they receive significant responsibility for identifying information sources, assembling data, performing analyses, structuring hypotheses and developing presentations. 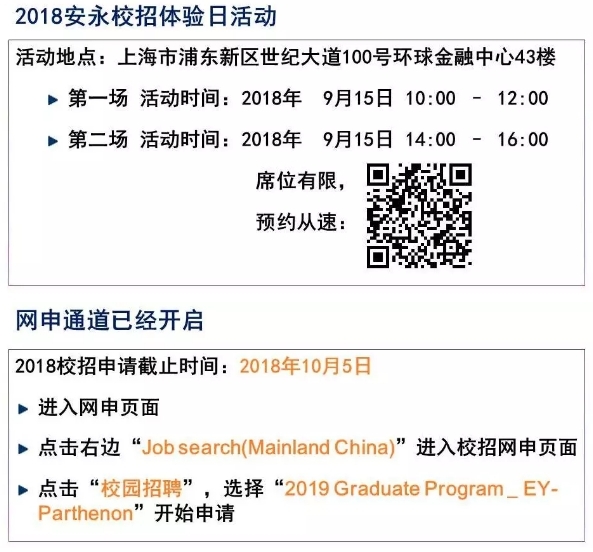 Training is given in key business concepts and analytical methods immediately upon joining the firm and throughout their EY-Parthenon career. Due to the nature of our work and team structure, EY-Parthenon Associates typically gain responsibility more quickly than in other consulting organizations, often serving as primary contacts for clients and managing junior case team members.